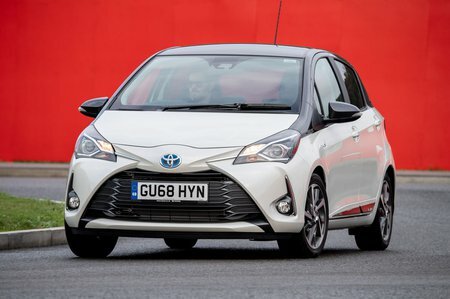 Toyota Yaris 1.5 Hybrid Icon 5dr CVT 2019 Review | What Car? What Car? will save you at least £1,212, but our approved dealers could save you even more. Icon versions of new Yaris add 15-inch alloy wheels, cruise control, air conditioning and a 4.2-inch colour TFT multi-information screen. They are also equipped with the Toyota Touch 2 touchscreen-controlled multimedia system and rearview camera.